The competition for autonomous vehicles just heated up with news from Nvidia at the recently concluded International Consumer Electronics Show (CES 2018), that they were partnering with Continental AG in the development of self-driving vehicles. Nvidia is well-known globally as a graphics chipmaker that controls about 72% of the market for discrete GPUs for desktops. Continental is most well known for being a German tire manufacturer. However, their complete product line includes sensors, brakes, car electronics, car safety, powertrain, chassis components, instrumentation, and other parts for the automotive and truck manufacturing industry. The Nvidia announcement was considered a challenge to the industry as they stated that they were ahead of the competition by more than two years. Continental is already in an alliance to bring autonomous driving to the market. The consortium they are working with also includes Fiat Chrysler Automobiles, Intel and Intel’s Mobileye vision systems subsidiary, Aptiv. 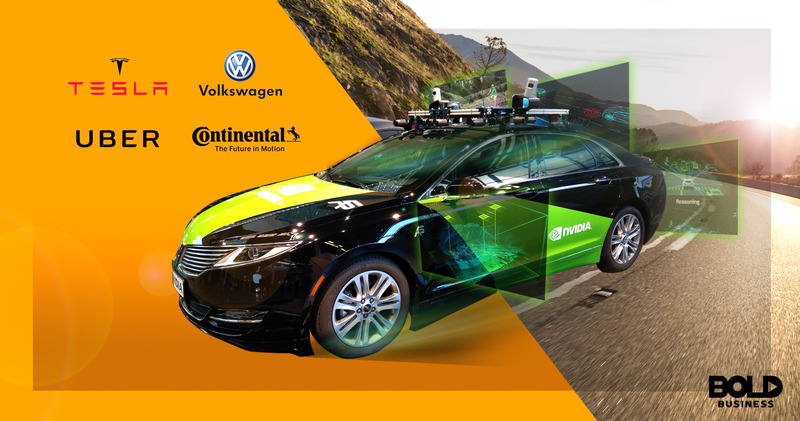 Continental handles component and software integration while Aptiv is an automotive parts company with its own plans for self-driving vehicles. At the same time, Continental has a separate development program in partnership with Chinese company Baidu. Besides Continental, Nvidia has also partnered with Uber Technologies and Volkswagen. Tesla’s self-driving components use Nvidia processors. At CES, Nvidia also announced new partnerships with Uber Technologies and Volkswagen. They stated that they have spent more than 8,000 man hours in engineering work, at a cost of $2 billion for their development. Called the Drive Xavier, it uses a new processor with embedded hardware, high-performance graphics, eight processor cores, separate processors for image and videos and networking, along with a deep learning accelerator and a programmable vision accelerator. The aim of the processor is to be a machine learning platform able to drive a car and learn along the way. Other companies are in the race for the autonomous vehicle of the future. Google started their self-driving car program in 2009. In recent years, Intel has been buying technology providers and development companies to speed up their own development efforts and still has to show any significant development. AMD is also developing their own self-driving vehicle initiative based on their strength as a CPU and GPU manufacturer. Cellphone processor manufacturers Qualcomm and Arm Holdings have their own self-driving vehicle programs, but since they are using processors based on those used in mobile devices, they are at a disadvantage against Nvidia. Nvidia has an inherent advantage due to their being a graphical processor company. A CPU, like those manufactured by Intel (Xeon, i5 and i7) and AMD (Raizen and Opteron), have a few cores, with plenty of cache memory. This enables the processor to handle multiple software threads at the same time. In contrast a GPU contains hundreds of cores which can handle thousands of software threads at the same time. This GPU ability can accelerate software more than a hundred-fold compared to a CPU, and does this with less power consumption and better cost-efficiency. The capability of GPUs to work on thousands of threads at the same time is also the reason for its use in bitcoin mining, as well as the main processor for some supercomputers. Although the majority of desktop PCs have integrated chips, Nvidia has been able to increase its sales of GPU boards. For quarter on quarter growth, Nvidia registered a 29.5% increase in shipments between the second and third quarter of 2017. In contrast, AMD’s GPU sales registered a much lower 7.6%. 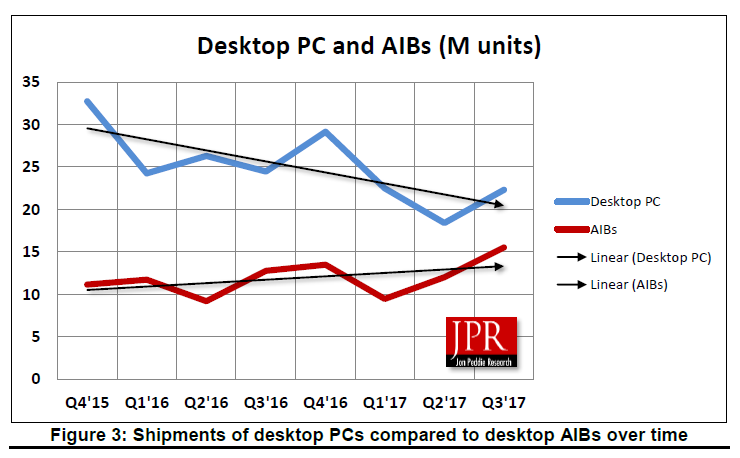 Further comparing this with Intel’s integrated chip shipment growth of only 5%, and PC shipments increasing by 10.3% over the same period, it is obvious that Nvidia is capitalizing on the surge in sales of gaming computer and high-end graphics requirements. The distinction is important when considering the computing power of an autonomous vehicle. The self-driving car reads the road via sensors, including images and video. These are processed for clues all at the same time. A single image or video frame may contain multiple signs and clues. These include road signs, traffic lights, roads, headlights, car signal lights, and other data. When vehicle-to-vehicle (V2V) and vehicle-to-infrastructure or vehicle-to-everything (V2X) comes along, there would be even more data streaming to the processor for analysis. All of these signals and data are processed at the same time, and the GPU is better suited to this task compared to a CPU. In this instance, Intel, Qualcomm and Arm Holdings are at a disadvantage. 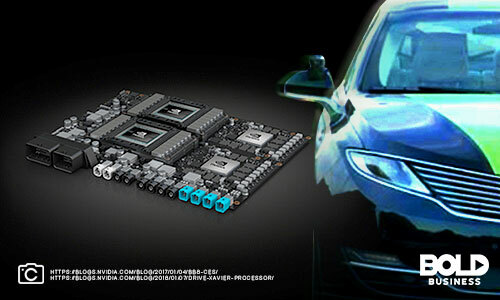 As a supplier of internal car computing components and sensors, Continental is a good fit for partnership with Nvidia. Uber is in a position to test for driverless cars, as this is in their roadmap. Volkswagen, as one of the biggest car companies in the world, would want to have help with their self-driving programs. Audi is a Volkswagen company which introduced a self-driving car in 2017. The Audi A8 was equipped with a Level 3 autonomy. Level 3 driving autonomy allows for a car to drive on its own at slow speeds. The Audi A8 can take charge of driving in slow moving traffic of up to 60 kph or 38 mph. Along with Audi, another German car manufacturer is also leading the charge for autonomous vehicles. The Mercedes Benz F 015 is a self-driving car which is also capable of Level 3 autonomy. It was released in 2017 and was roundly accepted at the 2018 CES. Tesla has also been very visible with their self-driving car. Tesla uses Nvidia processors for its self-driving modules. The race for self-driving cars is not limited to Level 3 autonomy, but ultimately, to Level 5. Current generation of self-driving cars are capable of Level 3, which is called “Conditional Automation”. An example of this is the Audi Traffic Jam Pilot. Under the right conditions, the car can manage the driving, but prompts the driver to take the wheel under specific circumstances. The driver is required to be alert and available to handle the wheel at any time. Level 4 is “High Automation” where the car can run on certain road conditions or geographic areas. The driver becomes a passenger when running on the highway. 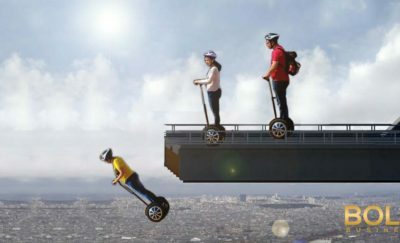 Level 5 is “Full Automation” where the only human intervention is entering the destination. Multiple companies are developing their own self-driving car solutions. 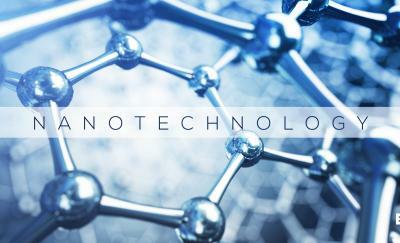 These range from processor manufacturers, car makers, large software companies, car component manufacturers and others. The goal is to be among the first, if not the first, to offer full autonomous driving capability. These companies are investing a lot of money on their own, and in partnership with strategic partners. Nvidia with their strength in GPU, is doing more work with car manufacturer Volkswagen, ride sharing company Uber, and car component manufacturer and integrator Continental. Nvidia is not content as the largest GPU manufacturer in the world, their attempt to capture the market in autonomous vehicles would also increase the demand for their GPUs. Nvidia is the largest manufacturer of discrete GPU boards and chips. The growth of crypto mining has a positive impact on the sales of their GPU chips. Although supercomputers are a small segment of their revenue stream, this is another segment where Nvidia is the frontrunner. With Nvidia’s claims that they are two years ahead of everyone else in autonomous driving technology, they are opening up this segment of technology and claiming it as their own. The stakes that Nvidia is fighting for is to have a processor chip in every self-driving car sold in the near future.